Beautiful day in Texas. I decided to take Shine out by herself for a run. 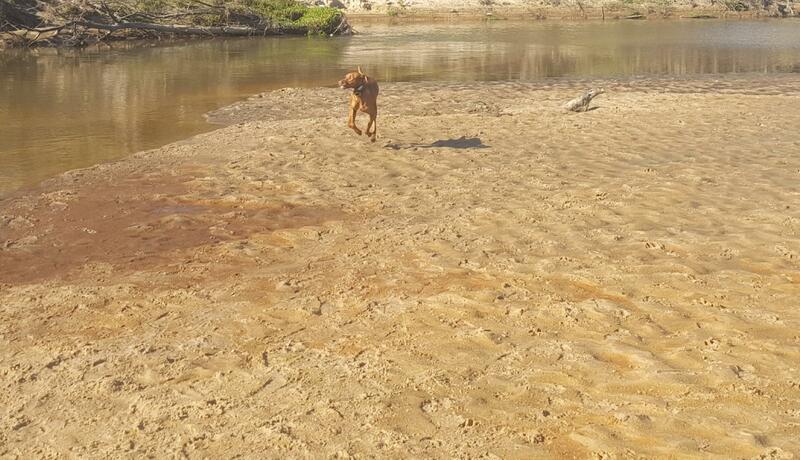 She got to run in the sand, and splash in the creek. Then all of that changed, due to someone leaving glass out there. She sliced open the bottom of her foot, between the pads. She was sedated, and stiched up. She wasn't all the way awake, when I took the last picture. She is now home resting. Poor girl! I hope it heals quickly so that she can get back out to enjoy the sunshine. That's a real bummer. Best of luck on her recovery. She looked like she was having such great fun too, hope Shine gets better soon. >>> a POX on all Bottle breakers everywhere!!! texasred and BFrancs like this. Thankfully hers was not as bad as Greta's. They were able to close it with 3 stitches. Although I know she's been in a lot of pain today, even with the pain meds. Mostly just resting, or moving on three legs. When bird dogs would rather lay, you know they don't feel good. My vet wasn't even in the office this morning, but he came in just to treat her. I got to stay with her while she was sedated, thoroughly cleaned the cut, and stiched up. I think it's a little less traumatic for them, if they know your there. GOD BLESS her... and her little paws!!! It is just so heart breaking!! I Know... get over it and move on, but ... it is no different than a child getting cut on a "Shard"... the innocence!!
" 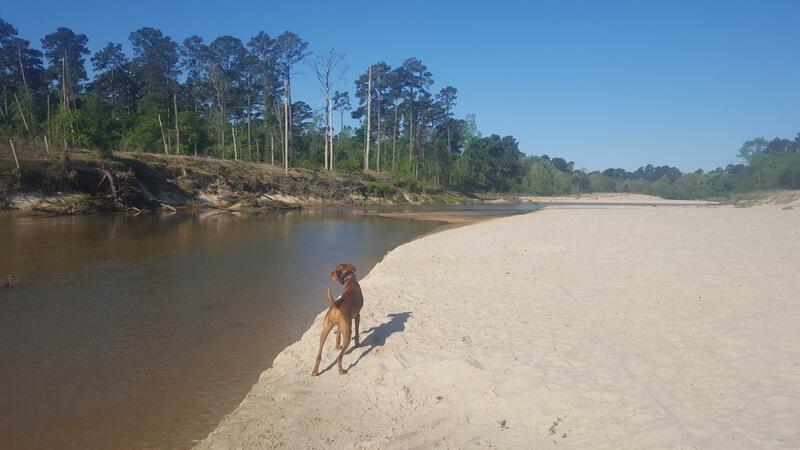 Run Little Shine, and Be safe and PAIN free the entire rest of your Life""" God & Foxy & Auggie, Greta, and Teddy will watch over you from now on.... You have some very powerful new Angels! Yikes!!! poor girly. very bad and nothing u can do to prevent, very frustrating. we had a similar one with Bende when he was about to turn 2, creek running, cut thru the pad. 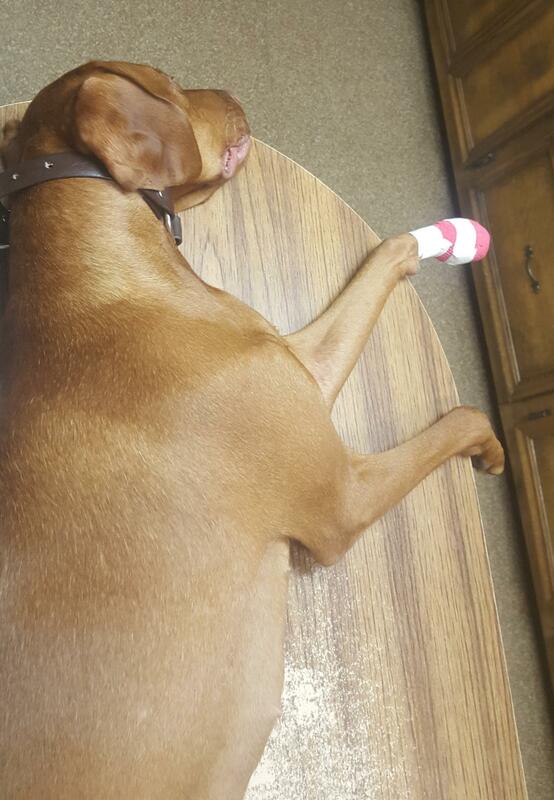 it was on a hind leg and vet said stitches would do more harm than good. it was a looooong 4 weeks till he healed. give a big hug from me to Shine. Keeping Shine in our prayers,...hoping for a speedy recovery!!!! Shine is doing very well, and wanting to be her normal bouncy self. Having to rotate her, and Arya being out is not as much fun. But those two play so rough. We are counting down til the 9th, when her stitches come out.